Which Type of Fundraiser is Right for You? 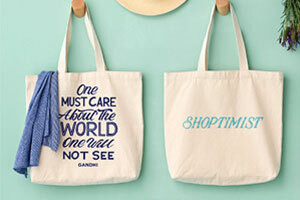 Whatever your situation, Mixed Bag Designs has the right fundraiser for you. We also have one-time event and full service options. Our full-featured option, Catalog & Online Fundraisers includes seller packets with order forms, catalogs, prize packages for schools and online fundraising. 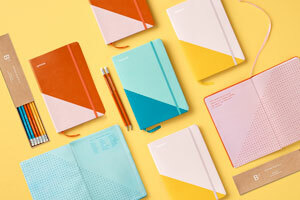 Catalog & Online Fundraisers earn up to 50% profit. Catalog orders are shipped to a single location presorted by seller for easy distribution. Online orders are shipped directly to the purchaser. 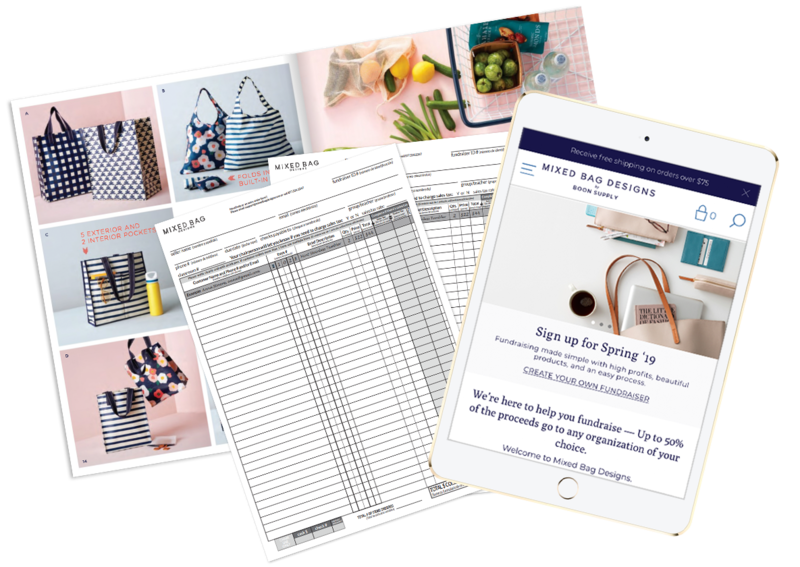 You’ll choose start and end dates for catalog sales and benefit from online sales that go all season long. 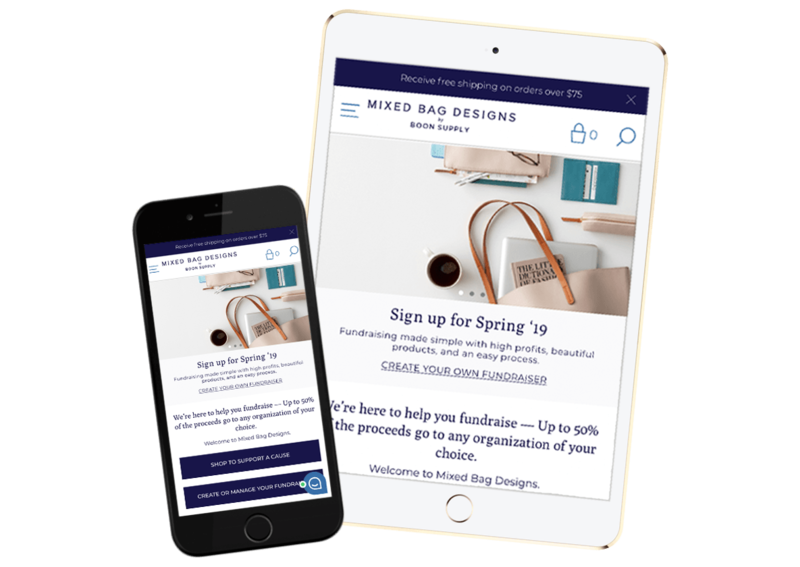 The easiest way to raise money for your organization, Online Only Fundraisers skip the catalogs and order forms by driving all purchases through the Mixed Bag Designs website. Online Only Fundraisers earn 40% profit. Online orders are shipped directly to the purchaser. Online Only Fundraisers go all season long. Your fundraiser has a baseline profit of 45% for catalog orders. To maximize your funds, get as many orders per catalog as possible. In fact, just by averaging 1 item ordered per catalog, your fundraiser will jump to 50% profit for catalog orders. There is a $50 charge to cover shipping costs of the catalog orders. If your fundraiser hits just $1,500 in sales, this charge is waived and your items ship for free. Your fundraiser will receive 40% profit for online orders. These funds will be applied as a credit to your invoice for catalog orders. We're here to help you hit your goal and maximize your funds! For tips and tricks, contact your Fundraising Consultant or check out our 6 Steps to Fundraising Success. You can order seller packets online before you begin your fundraiser. Each seller packet includes a catalog, an order form, an envelope and a prize flyer if applicable. If you are raising funds for an Elementary or Middle School or PTO/PTA, you will also receive a 5-item sample display kit to help drive excitement around your fundraiser. We'll also include promotional posters in the shipment. The cost for this kit will be $35 and it will be included in your fundraiser invoice. If your fundraiser begins before February 28, 2018, you will receive this kit for free. You can order additional display items online. The Fundraiser Leader and Participants can enter orders in an online tool we'll provide. We'll send an invoice to you within 3 business days of the fundraiser close date. You can make your payment by credit card, check or e-payment. We'll ship your items within 2 weeks after we receive your invoice payment (subject to change during high volume holiday periods). For online orders benefitting your fundraiser, the purchaser pays for shipping and we ship their items directly to their address. Free shipping is available for certain orders, check the site for current offers. What if Items are Out of Stock? If an item from a catalog order is out of stock, we will issue a raincheck code for the value of that item plus shipping good for one year. Your supporter can then choose anything they like from our site and apply the code to their purchase. If a catalog order contains any defective items or items requiring a return, please contact us at (877) 520-2247 and we'll make it right. We are required to collect sales tax on wholesale costs for all fundraisers in AL, CA, CT, FL, GA, IL, MA, MD, MI, MO, NC, NJ, NY, OH, PA, SC, TN, VA and WA. If you provide us with a state-approved certificate of exemption, your orders will not be charged for sales tax. There is no sales tax exemption in the state of Texas for fundraisers done with third party fundraising companies (Rule 3.286 of the Texas Administrative Code). We are required to collect sales tax on retail costs for all fundraisers in Texas and we will remit taxes to the state. If you choose to not collect sales tax from your supporters, this will be taken from your fundraiser profit. Please contact your Fundraiser Consultant for additional details. If you cancel your fundraiser after catalogs and samples are shipped, the fundraiser will be charged $1.00 for each catalog ordered and the retail cost of any product samples ordered. If you are considering canceling your fundraiser, please contact your Fundraiser Consultant. Regardless of your fundraiser’s end date, profit from online orders will continue to be accumulated through the end of the fundraiser season. The Spring 2018 fundraiser season ends July 31, 2018. If online orders are placed after the invoice for your catalog orders has been sent, and the amount is less than $50, it will be applied as a credit to your next fundraiser. If the amount is greater than $50, we will mail a check within 1 month after the fundraising season ends. If you require the check sooner, please contact your Fundraiser Consultant. Online Only Fundraisers are a quick and easy way to raise funds for your cause. 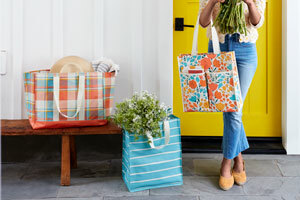 Just drive your supporters to make purchases on www.mixedbagdesigns.com, and your fundraiser will receive 40% of all sales proceeds for those orders. We’ll ship the items directly to your supporters, and your fundraiser won’t incur any shipping or sales tax costs. We are required to collect sales tax for online orders shipping to AL, CA, CT, FL, GA, IL, MA, MD, MI, MO, NC, NJ, NY, OH, PA, SC, TN, TX, VA and WA. If an ordered item is out of stock, we will contact the customer and they can choose an alternate item or refund their purchase. If an online order contains any defective items or items requiring a return, the purchaser can contact us at (877) 520-2247 and we'll make it right. If the funds raised are less than $50, they will be applied as a credit to your next fundraiser. If the funds raised are greater than $50, we will mail a check within a month after the fundraising season ends (July 31, 2018 for Spring 2018 Fundraisers). If you require the check sooner, please contact your Fundraiser Consultant.